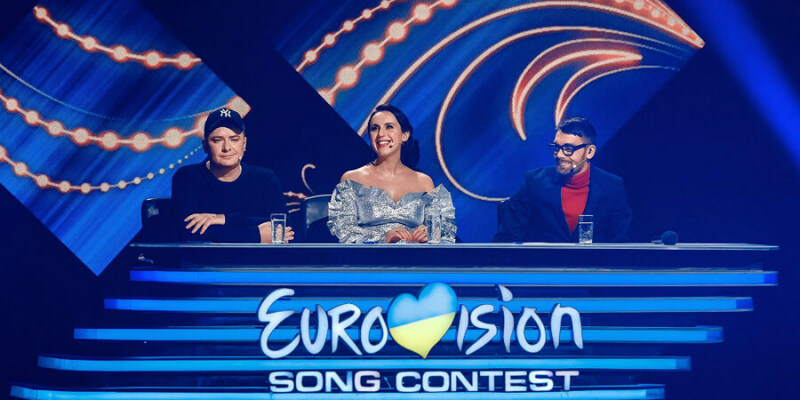 The Ukrainian broadcaster UA:PBC has decided to withdraw from Eurovision Song Contest 2019 in Tel Aviv, following some very turbulent days starting with the national final, Vidbir 2019. Here the participants were interrogated about their relationship with Russia, and during the show, the broadcaster announced that they had the right to reject the result. Maruv won Vidbir 2019 in Ukraine, but rejected to sign a contract with the Ukrainian broadcaster UA:PBC because of a set of rules, she was unable to accept. She felt she was forced to withdraw due to her relationship to Russia. The Ukrainian broadcaster contacted the next on the list, the runner-ups of Vidbir 2019, the band Freedom Jazz, but they have also decided to refuse the offer to represent Ukraine at Eurovision 2019. The next on the list, the group Kazka, also rejected the contract from UA:PBC to go to Eurovision. Kazka finished 3rd at Vidbir 2019 with the song "Apart". The National Public Broadcasting Company of Ukraine refuses to participate in Eurovision Song Contest 2019. The winner of the national selection for this year's Eurovision was the singer MARUV, to whom the Public Broadcaster, as it does every year, suggested signing an agreement to represent Ukraine at the Contest. However, after negotiations, MARUV refused to sign the agreement. The alternative way to determine the representative from Ukraine to the Eurovision 2019 according to the rules, could have been direct appointment by the broadcaster. That is, the Public Broadcasting Company could elect any performer not from the list of participants in the National Selection. However, the Public Broadcaster refuses to use this option, because it respects the choice of the audience in the National Selection. Therefore, in the situation of non-signing of the contract on the participation in the Eurovision with the winner Public Broadcaster contacted the finalists who have finished second and third in the national final. Freedom Jazz and Kazka also refused to participate in Eurovision Song Contest 2019. The song contest is an opportunity for every country to showcase itself in the international arena, and for each performer to act as the ambassador of their country and to win the supporters around the world. But the National Selection 2019 revealed and attracted the attention of our society to the systemic problem of the music industry in Ukraine: the connections of artists with the show business on the territory of the aggressor state, which are still very close at the 5th year of the military conflict. For a part of society, this fact is acceptable and for the other it causes indignation and rejection. The laws of Ukraine do not propose any restrictions on the work of performers and artists on the territory of the Russian Federation despite the large public request to resolve this situation. In the current situation, following the Law on Public Broadcasting, as well as in conditions of excessive politicization of the national selection process, the Public Broadcaster has decided to withdraw from the participation in the International Eurovision Song Contest 2019. The Public Broadcaster considers it necessary to initiate a public dialogue in the format of talk shows, forums and discussions with the participation of leading experts in the field to formulate the position of the Ukrainian society on this issue, as well as the development of proposals for a draft law of Ukraine that could regulate the situation with the cooperation of Ukrainian artists with the state-aggressor for the future. Russia and Ukraine is in an armed conflict where Russia supports rebel groups in Ukraine. The peninsula Crimea was annexed by Russia in 2014. Maruv has performed multiple times in Russia, and has scheduled a number of performances in Russia in the next couple of months. Maruv was ready to cancel these performances. – The representative of Ukraine cannot be an artist who tours in the agressor state, has plans to do so again and doesn’t realise it’s unacceptable. Therefore, the story of the Ukrainian entrant [for Eurovision] is far from complete. Not to allow any speeches, gestures and other actions not included in the previously agreed script during the time on the stage and during the filming. To participate in the rehearsals, filming, television and radio programs, promotional tours, press conferences, interviews and other events as determined by the organiser. Not to hold press conferences and not give interviews on the preparation and conduct of the Eurovision without prior agreement. Not to allow any actions, statements or manifestations that may have a political ground or may be used in a political aspect. Not to allow statements that may call into question the issue of territorial integrity and security of Ukraine. Not to tour in the Russian Federation from the date of signing the contract and for another 3 months after the end of the contest. To prepare the necessary documents for the entry into the territory of the host country of the Eurovision. To bear all the costs associated with the participation in Eurovision. To transfer particular intellectual property rights to the contest entry and rights to materials used in connection with the Eurovision. To pay a fine in case of breach of obligations or in a case of damage. Maruv revealed that the contract included clauses, that banned her from improvising on stage and communicating with any journalist without the permission of the broadcaster, and required her to fully comply with any requests from the broadcaster. If she broke the contract, she would be fined 2 million UAH (65,000 EUR).